Are you looking for a new mobile game to try this weekend? As usual, there are plenty of new options to try, including Puzzle & Glory from SEGA and Demiurge Studios. The match-three RPG allows players to create a team of heroes and compete in both single-player and multiple adventures. Next, Disney Interactive released Disney Infinity 3.0: Toy Box, its free-to-play mobile game in the popular Disney Infinity toys-to-life franchise. Reliance Games also released its newest game this week: Hotel Transylvania 2, a hotel-building title based on the new film of the same name. Finally, Prettygreat, an Australian game developer created by veterans from Halfbrick, released its first title: Land Sliders. The game asks players to slide the world around 50 playable characters to help them collect the objects they love most (like an explorer, for instance, who loves maps). Looking for something different to play? Here’s a look at some additional games released this week. 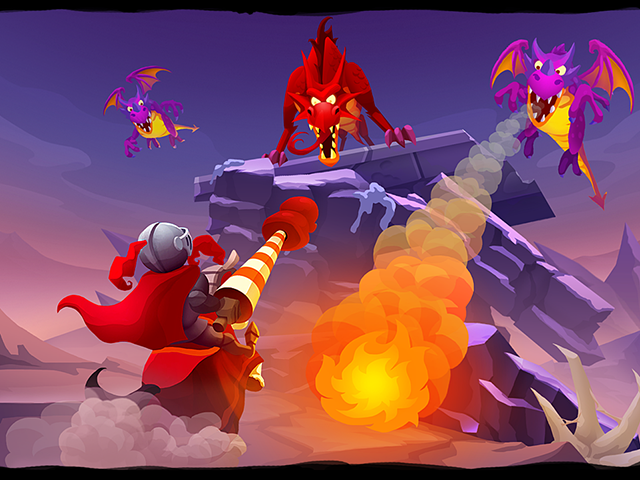 SirVival (Free on iOS) – A side-scrolling running game from 1DER Entertainment and Soul and Vibe Interactive, SirVival sees players completing levels as a jousting knight, tapping, or tapping and holding, on the screen to jump over obstacles, attack enemies and collect coins. In between stages, players can spend their coins on new pieces of armor for their knight or horse, upgrades to the knight’s weapon or defenses and more. SirVival features 40 stages, each with a variety of collectibles to gather. Players can replay stages to earn missed items. SirVival is also available to play for free on Facebook, and it is coming soon to Android. Magic Flute by Mozart ($1.99 on iOS) – From Polish developer LabLike, this puzzle title stars Tamino, a young prince challenged to rescue a princess using a magical flute. In each stage, players slide pieces of the environment vertically and horizontally to create a path for Tamino to reach the exit, and must avoid obstacles including cracked blocks and guards in the process. The game offers 32 levels, which can each be completed in multiple ways. Magic Flute by Mozart will be available for $1.99 until Oct. 24, with the price increasing to $3.99 thereafter. Kill Me Again (Free on iOS, Android) – From NHN PixelCube and Toast, Kill Me Again is a zombie survival horror match-three puzzle game, which challenges players to survive the zombie apocalypse using a customized hero in one of three character classes: advanced soldier, hit woman or researcher. In each level, players must quickly drag symbols around the game board to create lines or three or more matching symbols, which trigger different attacks. In between stages, players can upgrade their weapons and armor, making their character stronger over time. For social features, players can join a guild to share bonuses with other players and access guild-exclusive gameplay modes. Lunar Flowers (Free on iOS) – From NetEase Games, Lunar Flowers is a puzzle game asking players to help a princess navigate a dream world. In each stage, players draw lines on the screen to connect flowers in specific ways, based on visual clues in the environment. Lunar Flowers offers no in-app purchases or advertisements, and it will be free to download during a special launch period. After this promotion ends, the game will be available to download for $0.99. Ace of Arenas (Free on iOS, Android) – A multiplayer online battle arena (MOBA) game from GAEA Mobile, Ace of Arenas challenges players to defeat their opponents in one-on-one, two-on-two or three-on-three multiplayer battles. Gamers can also practice against AI opponents in a training mode. In each match, players work to destroy a special core in the enemy’s base, and they can control their hero using a virtual joystick for movement and buttons for normal and special attacks. Gamers can upgrade their hero’s special attacks (or unlock new attacks) during a match, and they also have access to a shop to purchase helpful items. Ace of Arenas offers ranked matches and leaderboards, as well as the ability to create a clan with other players.